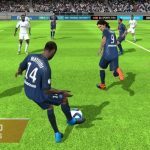 We’ve been heavily featuring FIFA 16 Ultimate Team over the past few days, sharing a bunch of tips and tricks for this title, and it’s simply because the game is simply what soccer fans have been waiting for, as far as comprehensive games of this type are concerned. 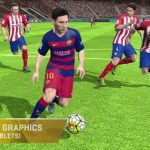 It’s EA Sports’ FIFA series distilled for mobile, and the 2016 version is rich in new features and improvements to existing ones, with the same combination of excellent graphics and smart strategy (for managers) required to succeed in the game. 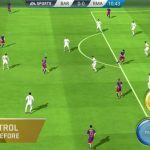 Manager Tasks are among the most important facets of this game, and in this FIFA 16 Ultimate Team strategy guide, we’ll be talking you through all eighteen of these tasks. Completing these tasks, might we add, will allow you to win a free gold pack, and you know how hard those are to come by. The first thing you need to do is open Main Menu, then select Load Player Option, which you’ll find on the left portion of your Dashboard. This can only be done once. This is another extremely easy task. Just open the Manager Tasks screen, choose Change Club Name, and you’re off. You can only do this once for free. You can do this by starting a single player tournament or joining an online tournament. And you don’t have to actually win the game – just playing a tourney match completes this task. Likewise, you can complete this task by playing one game in a single player season or online season. Doesn’t matter either if you win or lose, just as long as you complete the game. Go to the Transfer Market and use the “Buy Now” option. Choose Transfers, then select Transfer Market, using a filter so you can specifically select Buy Now. All there is to it. Open My Club, choose any player you feel you won’t be needing, and select List on Transfer Market to list him. You can also list someone by opening Squads or Active Squads, then selecting List on Transfer Market. Challenge the Team of the Week and play the match, win or lose. 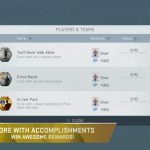 Select Squads/Active Squads, choose a player, apply the consumable, then wrap up by selecting Contracts. Follow the same process as above, except for the last part, where you’ll have to select Fitness. Once again, follow the same steps illustrated on the two aforementioned tips, save for the final instruction, which is to select Chemistry Style. Go to My Club, search balls, then activate a non-active item. Go to My Club, search stadiums, then activate a stadium that isn’t active yet. Open Squads/My Squads, go to the Create New Squad option, then you’re off – you can even delete the squad after creating it, and you’ll still get the task done. Select Squads, choose a player, select Swap Player, then select a Concept Player. Go to Squads, then to Concept Squads, select a player, search for someone on the Transfer Market, and use either Bid or Buy Now. If you reach a perfect 100 rating in Chemistry, share the squad on social media and the task is complete. Go to My Club, search kits, choose a non-active item, and activate it. Same steps as above, except in this case, you’ll be searching for a crest and activating a non-active crest.